Steve began his journalistic career in an era in which social networking mainly occurred in saloons. In the years since, he has been a reporter and columnist (Seattle Post-Intelligencer), a magazine founder and editor (The National Sports Review), the Director of Research at ESPN (once had the chore of looking up the history of rain delays in major league baseball), a radio talk show host (fired by KIRO because stupid people need radio stations, too, according to the program director), and the producer of a syndicated sports statistical feature (titled Wow!Stats), distributed by Universal Press Syndicate (quick, name three countries in which athletes are eaten when they fail to perform). He wrote (with Karen Chave) 100 Years of Husky Football, Who The Hell is Bob? (one of Seattles more remarkable people) and collaborated with Art Thiel (Sports Press Northwest) and Mike Gastineau (KJR-AM) on The Great Book of Seattle Sports Lists, a ribald compendium of Seattle sports exotica that should be made into a movie (Brad Pitt playing Steve). 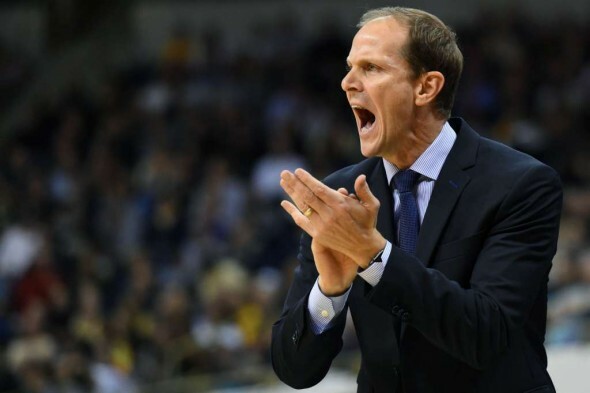 He gained everlasting infamy in 1985 (at least in Corvallis, Ore.), when, in a column in the Post-Intelligencer, he called the Oregon State Beavers The Barney Fife of College Football, then sat stupefied as the 37-point underdog Beavers cast aside a 28-year slump and beat the Huskies. As of this writing, that game (which resulted in an official, Oregon State-issued game ball for Steve) still generates 314,000 Google pages, most of them from unenlightened (and presumably salt pillar-licking) OSU fans. Steve has yet to issue an apology on Facebook or Twitter  and has no plans to do so. 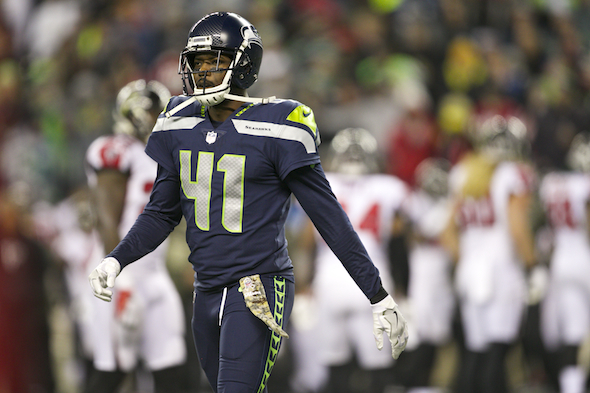 On the first day of the NFL's new year Wednesday, the Seahawks signed DE/LB Barkevious Mingo and predictably sent away RBs Thomas Rawls and Mike Davis, then lost CB DeShawn Shead in free agency. Countering those departures, Seattle retained DE Dion Jordan, the No. 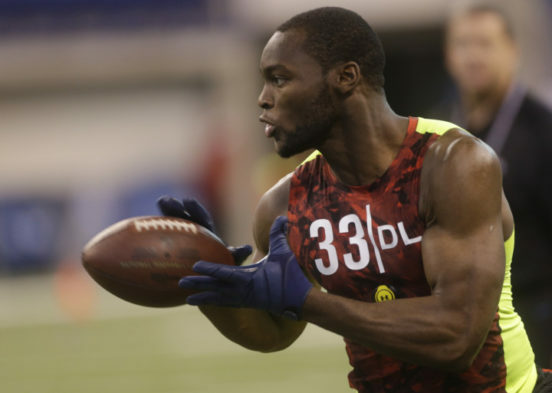 3 pick in the 2013 draft who returned to health last season, and also made official the trade of DE Michael Bennett to the Philadelphia Eagles. 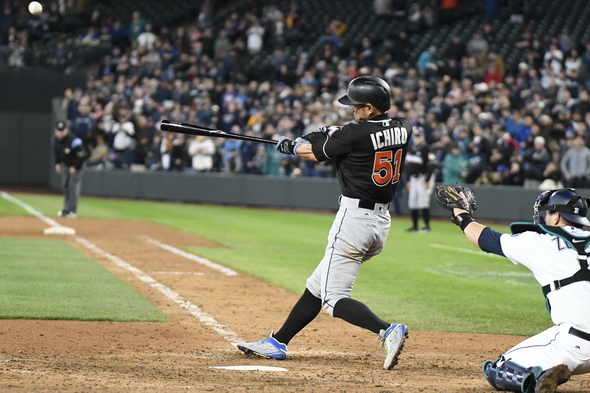 As soon as Ichiro plays in the first game of his second stint with the Mariners, he will become the oldest player in franchise history, eclipsing legendary spitballer and Hall of Famer Gaylord Perry, who worked on a game-to-game contract in his final season in Seattle. Tommy McVie grew up in a nearly destitute family in the Consolidated Mining and Smelting company town of Trail, B.C., finally escaping it as a teenager with a single used hockey stick and pair of skates paramount among his few possessions. 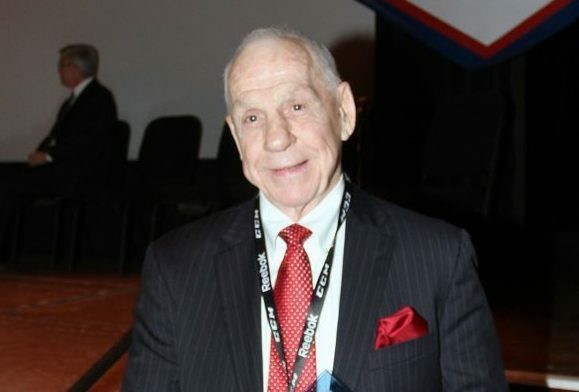 Now in his 80s, McVie can reflect on 21 seasons as a pro with eight franchises, 28 more as a coach -- nine as a head man in the National Hockey League and World Hockey Association -- and 22 spent in service to the Boston Bruins, the majority of those as a scout. 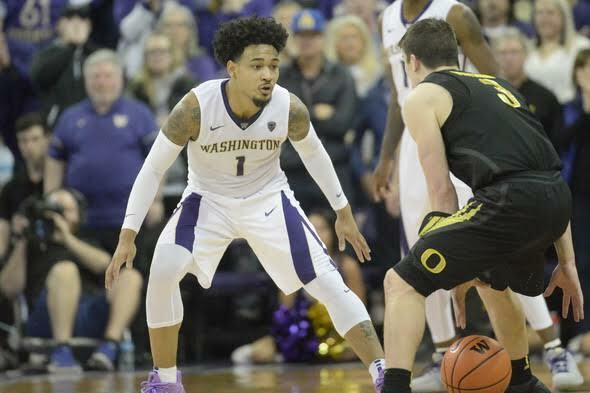 In the majority of preseason polls, including the official Pac-12 media prognostication, the Washington men’s basketball team finished 10th, 11th or 12th. It was no .surprise at all, since the Huskies were coming off a 9-22 embarrassment despite employing the No. 1 overall pick in the NBA draft, freshman Markelle Fultz. 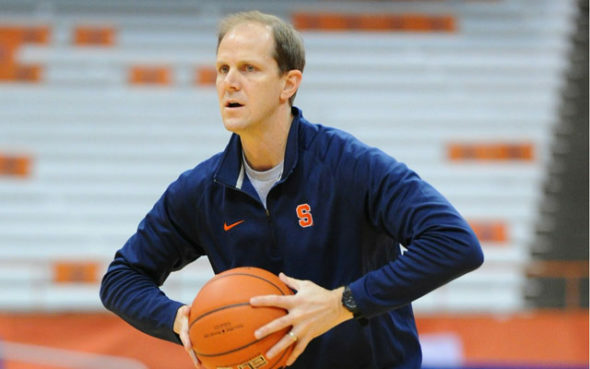 Never had any college team lost 20-plus games with the pending No. 1. 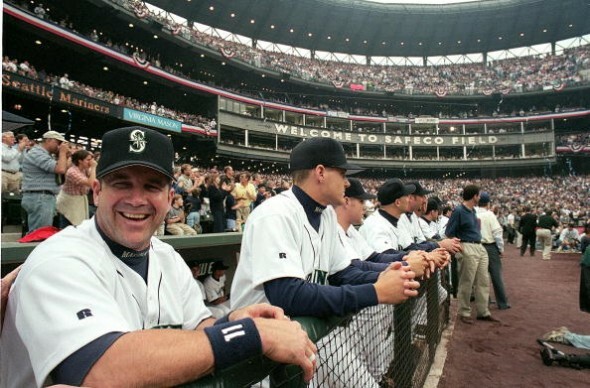 Along with everyone else in the baseball universe, the Mariners find out Wednesday (3 p.m. PT, MLB Network) if Edgar Martinez, their All-Star designated hitter (1987-04) and current batting coach, will make it to the Hall of Fame. Martinez is on the ballot for the ninth time, and all available evidence suggests the vote is close. 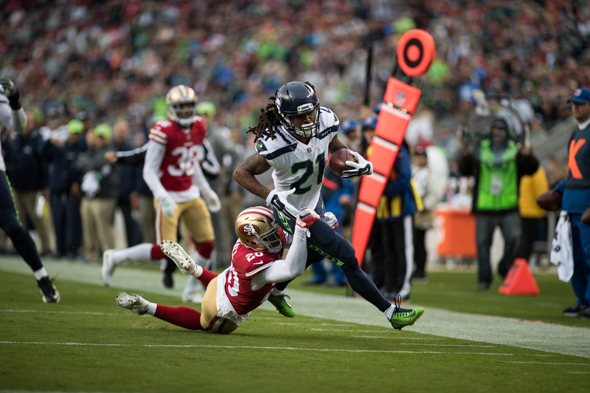 For purely face-saving purposes, the 33-yard run by Mike Davis near the end of the third quarter Sunday against Arizona will go down as one of Seattle’s most significant offensive plays of the 2017 season. 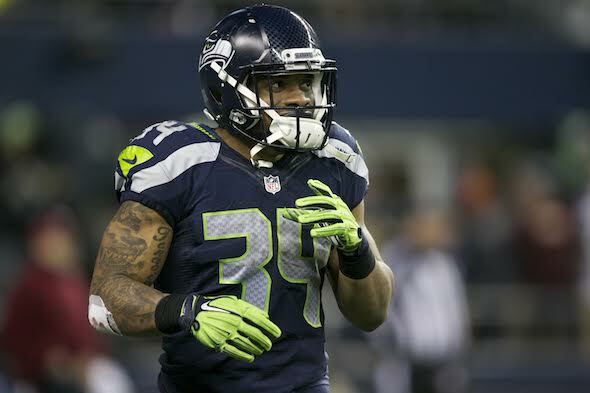 It didn’t set up a touchdown and, in fact, led only to a Jon Ryan punt, but it helped Davis finish the year with 240 yards, making him Seattle’s leading rusher among running backs. 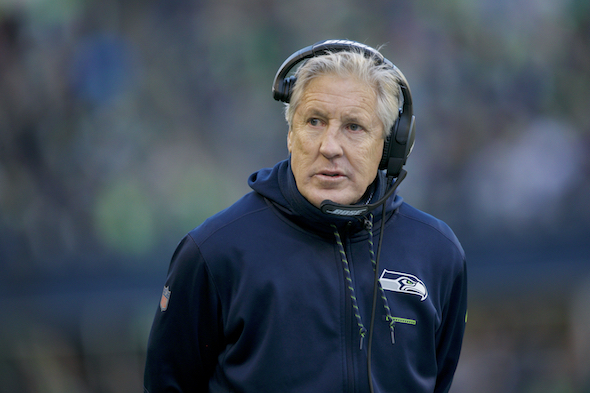 When the Seahawks were denied the NFL playoffs Sunday, their ouster ended one of the more remarkable runs in modern NFL history: five consecutive years with at least one playoff victory, coinciding with QB Russell Wilson's tenure as the team's starting quarterback. 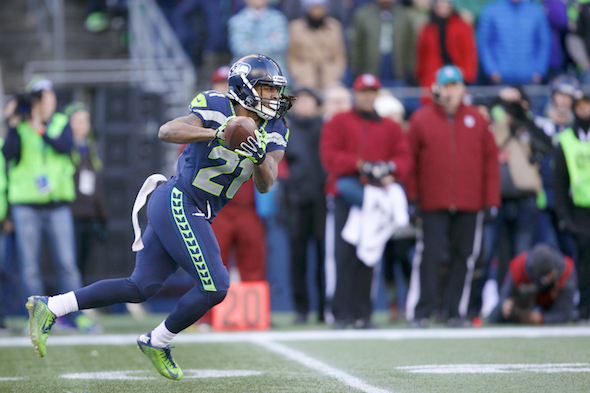 Now that Seattle won't be extending its streak to six, the question is, what happens next -- a reload or a remake? 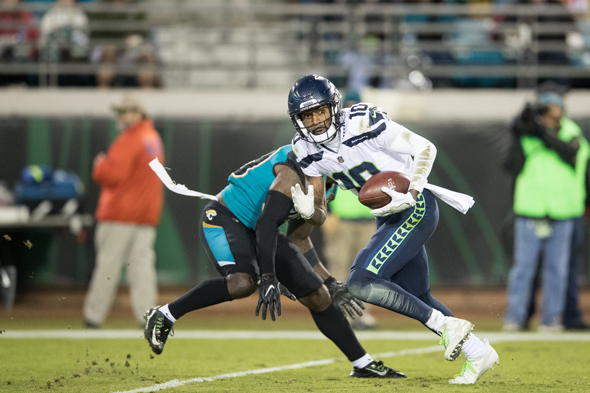 QB Russell Wilson exercised poor decision-making on two deep throws against Jacksonville Sunday, neither of which had much chance of succeeding. CB Jalen Ramsey picked off the first one in the second quarter on what was essentially a jump ball in the end zone with WR Doug Baldwin, and CB A.J. Bouye collected the other one in the third quarter on another 50-50 ball to Baldwin. 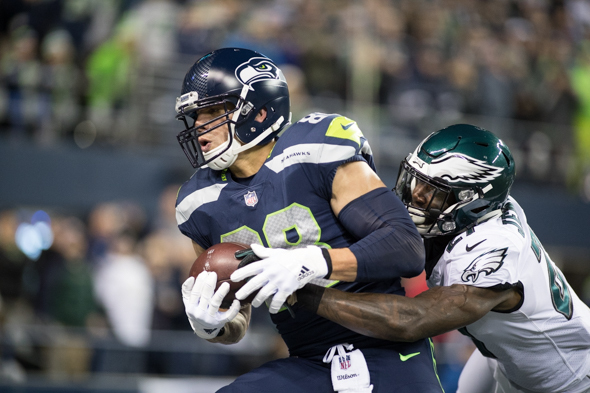 In Seattle’s 24-10 upset of the six-point favorite Philadelphia Eagles Sunday night at CenturyLink Field, TE Jimmy Graham had a mere three catches for 26 yards, but continued to be QB Russell Wilson's favorite target near the goal line. Graham snagged an 11-yard TD in the first quarter and has TDs in four consecutive contests. After grinding out a 24-13 win over one-win San Francisco, the Seahawks return to CenturyLink Field for a Sunday night game against the Philadelphia Eagles, through 11 weeks the NFC's best team. The Eagles have the top mark in the NFL at 10-1 and are coming off nine consecutive victories, including three 28-point wins, 37-9 over Dallas, 51-23 over Denver, and 31-3 over Chicago. Since the Associated Press introduced college football rankings in 1936, Washington and Washington State have faced each other 79 times (they did not meet in the war years of 1943 and 1944). The Huskies have won 51, including the past four in a row (the teams tied twice). Of the 79, only eight rivalry games have had both teams ranked by AP as they are this year. While Pete Carroll’s well-intentioned but dubious play calling, especially on the fake field goal attempt before halftime (see Thiel: Valiant Seahawks lose on Carroll's calls), has dominated local sports talk since the Seahawks botched an opportunity to knock off the Atlanta Falcons Monday night at CenturyLink Field, another factor contributed to Seattle’s 34-31 loss. 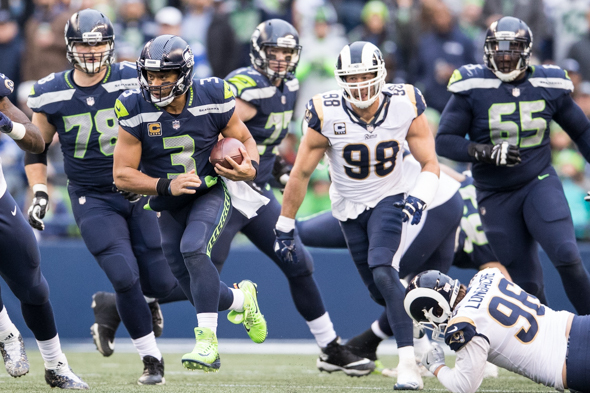 At 6-3, the Seahawks sport the second-best record in the NFC West (Rams are 7-3 after a Sunday loss) and if the playoffs began before the weekend, would own the conference’s sixth and final playoff spot. 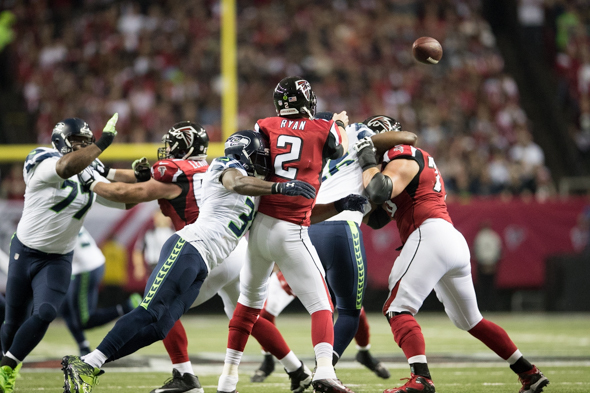 But for the first time since Russell Wilson became the franchise’s starting quarterback in 2012, a Super Bowl run suddenly seems far-fetched, even though the Seahawks have won five of their past six. 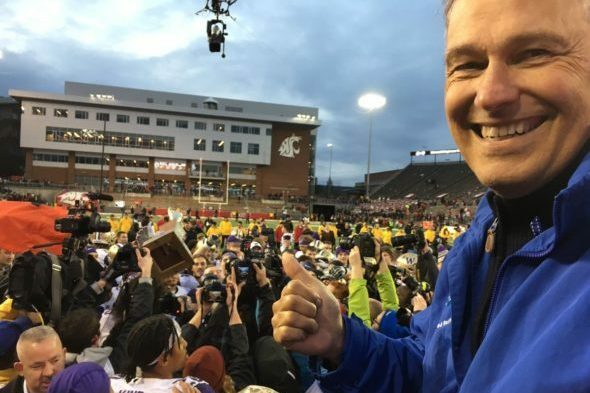 Midway through the college football season, before Washington State unraveled at California 37-3 and Washington stumbled 13-7 at Arizona State Oct. 13-14, the local sports talk shows were salivating over the Nov. 25 Apple Cup. The schools were off to 6-0 starts that had never happened in the 108 years of annual mutual invective and head-banging. 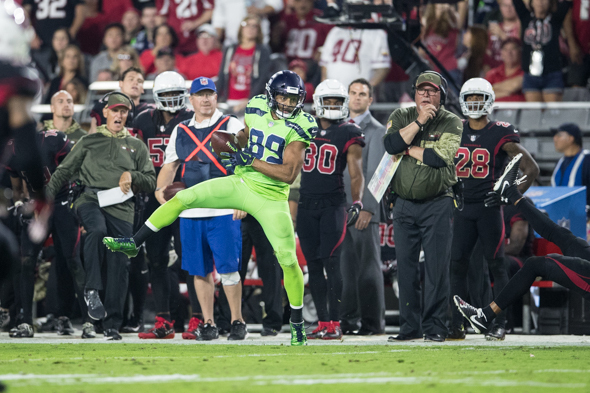 Near the end of the first quarter Thursday night in Arizona, the Cardinals trailed the Seahawks 7-0 when they mounted their third drive of the game, starting at their 25. On second and 11, QB Drew Stanton missed badly on a throw intended for WR Jaron Brown, but DE Michael Bennett was dinged for a face mask infraction, giving Arizona a first down on its 39. And then more nonsense happened. 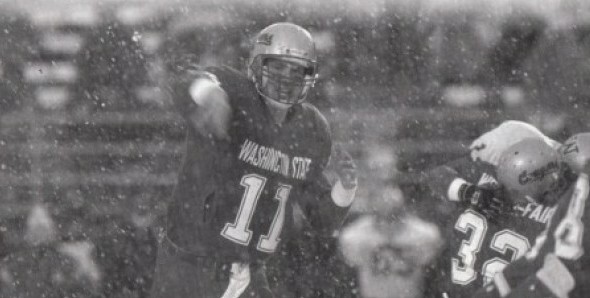 For more than a quarter of a century, the 1991 Washington Huskies have served as the standard against which all prior and subsequent UW football teams have been measured. 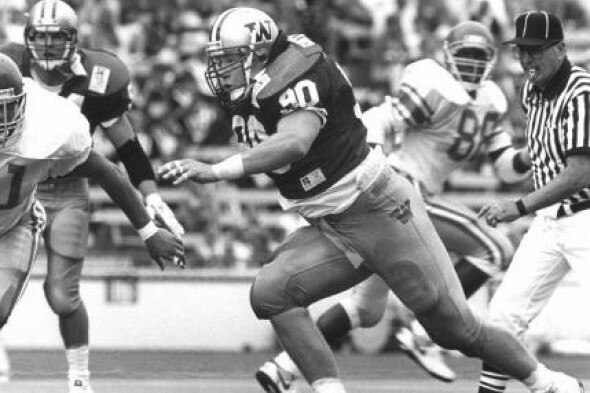 That’s not likely to change until some future club produces a perfect season or wins a national championship, as did Steve Emtman’s team 26 years ago.